If rumour mills are to be believed, two of Bollywood’s most wanted actors – Ranbir Kapoor and Hrithik Roshan, may come together in a film produced by Farhan Akhtar and Ritesh Sidhwani’s Excel Entertainment. The buzz is that Hrithik has a cameo in the film, while the director and the rest of the cast is yet to be finalised. When contacted, Ritesh just said, "Nothing has been finalised." Meanwhile, a source close to the development said to The Times of India, "Excel will soon make an official announcement about the film that will go on floors sometime next year. 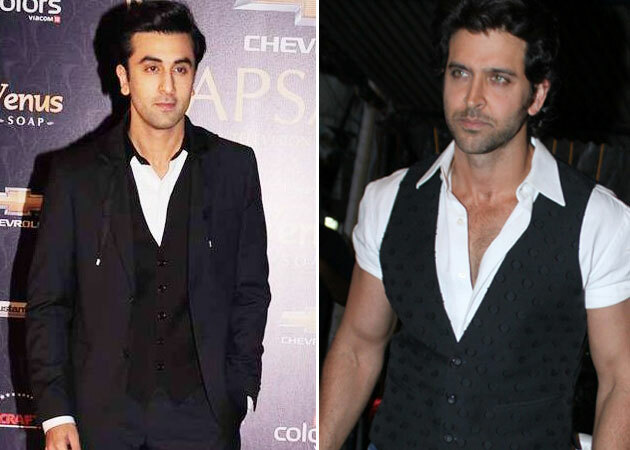 Ranbir and Hrithik are very good friends who've never had the chance to work together before. Finally, it's happening." Quizzed about the possibility of Ranbir and Hrithik also starring in Farhan's sister, Zoya's next, Ritesh did not reply. Watch this space on whether or not this hot and happening casting coup will actually ever see the light of day.